Mighty House Honored w/ Green Remodeling Excellence Award! MBA 2017 REX/T-REX Awards Banquet. Winner: Green Remodeling Project, Mighty House Construction. Photo by Alabastro Photography. Last month, we were honored to accept the 2017 REX Award for Green Remodeling Excellence from the Master Builders Association! 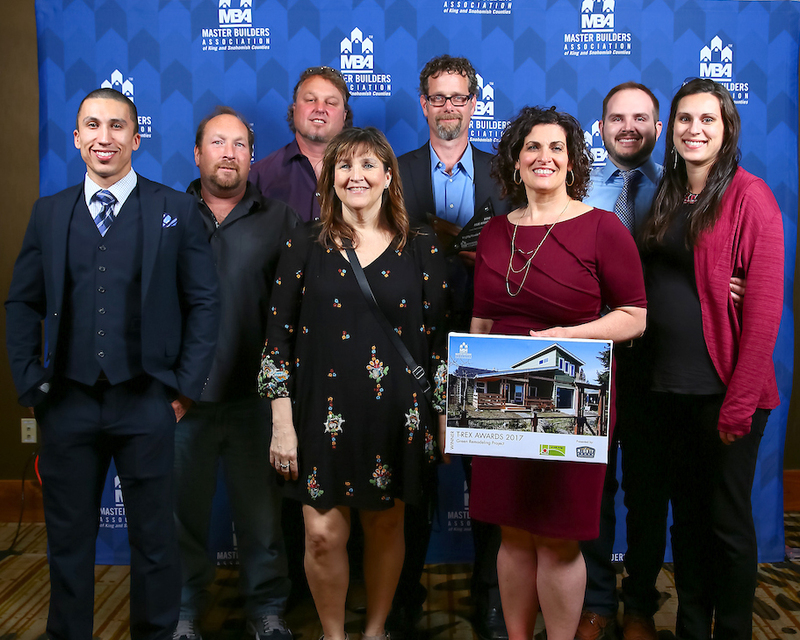 We had an incredibly fun evening and would like to say a HUGE THANK YOU to all of our staff, partners, supporters, and awesome clients who made our winning project, the Deep Green Westwood Addition, possible! We truly couldn’t do our work without you! This project implemented beautiful and innovative design solutions, advanced heating and ventilation, and creative reuse and salvaged materials.